This Mercedes-Benz includes: EXTERIOR LIGHTING PACKAGE Headlights-Auto-Leveling AMG PERFORMANCE EXHAUST SYSTEM (DISC) WHEELS: 19"/20" AMG BLACK CROSS-SPOKE FORGED Tires - Front Performance Aluminum Wheels Tires - Rear Performance MULTIMEDIA PACKAGE Navigation System Hard Disk Drive Media Storage MP3 Player AMG NIGHT PACKAGE BLACK SOFT TOP (STD) Convertible Soft Top BLIND SPOT ASSIST Blind Spot Monitor Cross-Traffic Alert NATURAL GRAIN BLACK ASH WOOD Woodgrain Interior Trim HEATED AND VENTILATED FRONT SEATS Cooled Front Seat(s) Heated Front Seat(s) *Note - For third party subscriptions or services, please contact the dealer for more information. 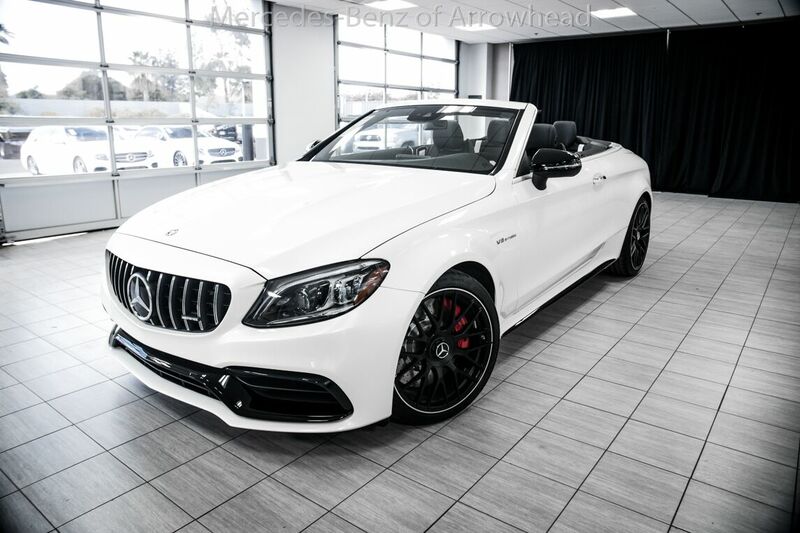 * If you're a driving enthusiast, you'll be grateful for the chance to drive this Mercedes-Benz C-Class AMG C 63 S convertible. You'll discover what millions of convertible owners have known for years -- nothing beats an open air experience. There's a level of quality and refinement in this Mercedes-Benz C-Class that you won't find in your average vehicle. Marked by excellent quality and features with unmistakable refined leather interior that added value and class to the Mercedes-Benz C-Class Where do you need to go today? Just punch it into the Mercedes-Benz C-Class on-board navigation system and hit the road. Visit your Mercedes dealer today serving Phoenix, North Scottsdale, Tempe, Gilbert, Mesa, Chandler, Scottsdale AZ.